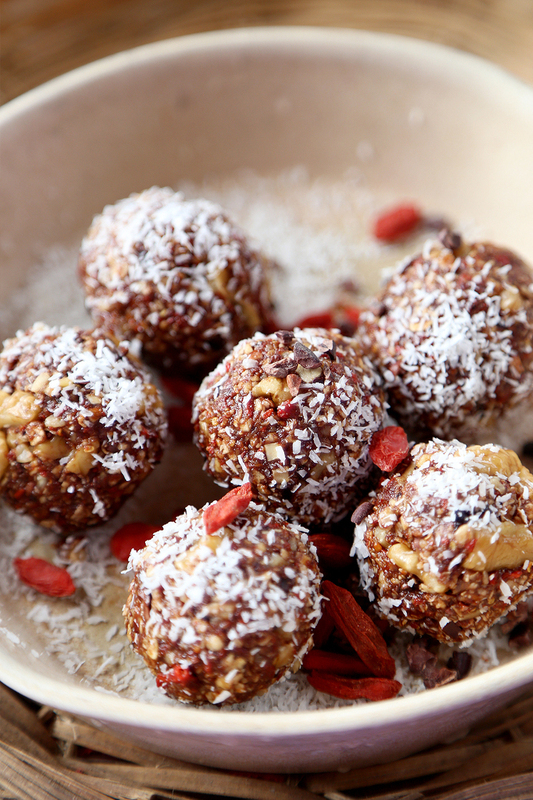 Goji Berry bliss balls are an appropriately named snack. Quick to make and densely packed with nutritious and delicious wholesome ingredients, they're a tasty and portable treat that will keep you energized no matter what you're doing. 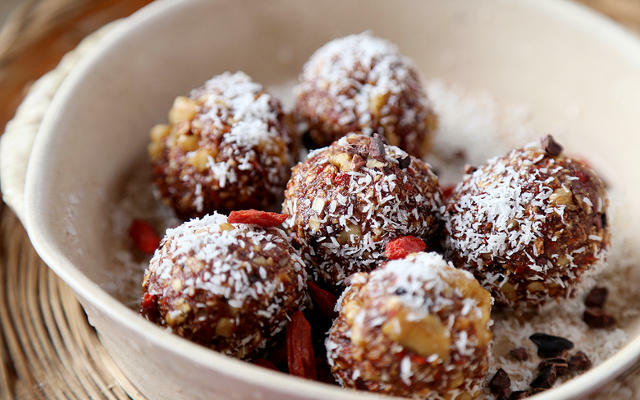 These amazing bliss balls have got the power of goji berries and walnuts and are rolled in yummy shredded coconut flakes! Add the oats, ¼ cup walnuts, goji berries, pitted date, maple syrup, cacao nibs, cacao powder, coconut oil and vanilla extract in a blender. I used Vitamix with food tamper to help me press it down. Blend until the mixture is crumbly and starts to stick together. You may have to use a spoon to stir it around a few times to blend some more. Spoon it out into a bowl and add the crushed walnuts, then roll them into balls. Roll them over some finely shredded coconut and eat right away. Divine Healthy Food is a vegan blog, focusing on plant based foods, great taste and health. Susanna’s food philosophy: eating should be enjoyable and nourishing. We should eat for health and nothing else. Raw Food Magazine has been a blessing, motivating me to eat raw despite the hectic nature of having a baby! The best part is I am getting sleep and I have more energy. Thanks, for the help! Since switching to 80% raw I have way more energy to play with my grandson. I’ve been thinking about incorporating more raw for a long time, and the first issue of Raw Food Magazine really helped me take the leap–thank you. I love this magazine! Beautiful, delicious, and educational. The perfect read over a cup of tea. I travel a lot and love that I can access Raw Food Magazine anywhere. Thanks for the awesome content, I’m already looking forward to next issue. I’m pretty stoked about this magazine. Its awesome to see a publication out there spreading positive info about health and nutrition. There are a lot of misconceptions out there. I’m raw, and an ultrarunner, and I feel pretty darn good about it. I am 60 years old and a lifelong sugar addict. After receiving the first issue of Raw Food Magazine I promptly made all 7 dessert recipes included. 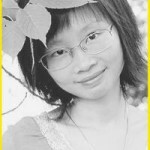 Thank you Raw Food Magazine–I have renewed hope I can be a reformed into a raw chocolaholic! Join Raw Food Magazine Today! © 2019 RawFoodMagazine.com. All Rights Reserved. by the Food and Drug Administration. Get 15 Easy Snack Recipes to Slim Down and Power Up!